Recent studies have provided electrophysiological evidence that the auditory system’s response to externally generated auditory stimuli during speech planning is modulated in comparison to its responses to identical stimuli during no-speaking control conditions. In this study, we examined whether such neural modulations during speech planning result in measurable perceptual modulations. In a two-interval forced choice intensity discrimination paradigm, participants were asked to judge the intensity of a standard tone (with constant intensity), played during a fixation period, relative to the intensity of a comparison tone (with varying intensity), played during speech planning or during no-speaking conditions (silent reading and passive listening). Psychometric functions were fitted to participants’ responses in each condition; psychometric functions were used to calculate the point of subjective equality (as a measure of perceptual threshold) and the slope of the psychometric functions (as a measure of perceptual uncertainty). We found that the point of subjective equality in the speaking condition was statistically significantly larger than that in the no-speaking conditions. In addition, slope values in the speaking and listening conditions were statistically significantly smaller than slope value in the silent reading condition. 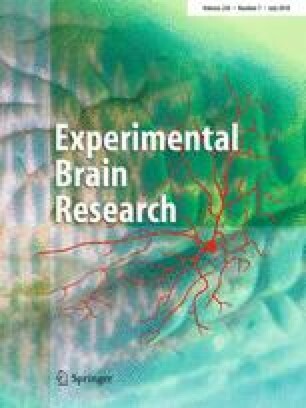 Together, these results suggest that previously reported electrophysiological modulations of the auditory system during speech planning may have perceptual manifestations, such as increases in perceptual thresholds and uncertainty of perceptual thresholds in an intensity discrimination task.